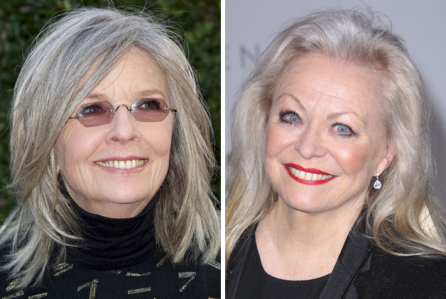 STXfilms will release its senior-citizen cheerleader comedy “Poms,” starring Diane Keaton, Jacki Weaver, and Pam Grier, on May 10 over Mother’s Day weekend in the U.S.
STX bought domestic rights for the movie at the American Film Market in November. Zara Hayes directed from a script by Shane Atkinson, based on a story by Hayes and Atkinson about a group of women who form a cheerleading squad at their retirement community. Shooting took place last summer in Atlanta. Alisha Boe, Phyllis Somerville, Charlie Tahan, Bruce McGill, Rhea Perlman, and Celia Weston also star. Entertainment One’s Sierra/Affinity is producing, financing, and handling international sales of the project. The producers are Kelly McCormick; Alex Saks; Mad as Birds Films’ Andy Evans, Ade Shannon, Celyn Jones, and Sean Marley; and Rose Pictures’ Rose Ganguzza. Keaton; Sierra/Affinity’s Nick Meyer and Marc Schaberg; and Will Greenfield are executive producing. STX teamed with eOne on Jessica Chastain’s drama “Molly’s Game” last year. Keaton was one of the lead actresses, along with Jane Fonda, Mary Steenburgen, and Candice Bergen, in the comedy “Book Club,” which grossed $68.6 million worldwide. “Poms” will open against MGM’s “The Hustle,” starring Anne Hathaway and Rebel Wilson in a comedy inspired by “Dirty Rotten Scoundrels”; and Warner Bros.’ video game adaptation “Detective Pikachu,” with Ryan Reynolds.